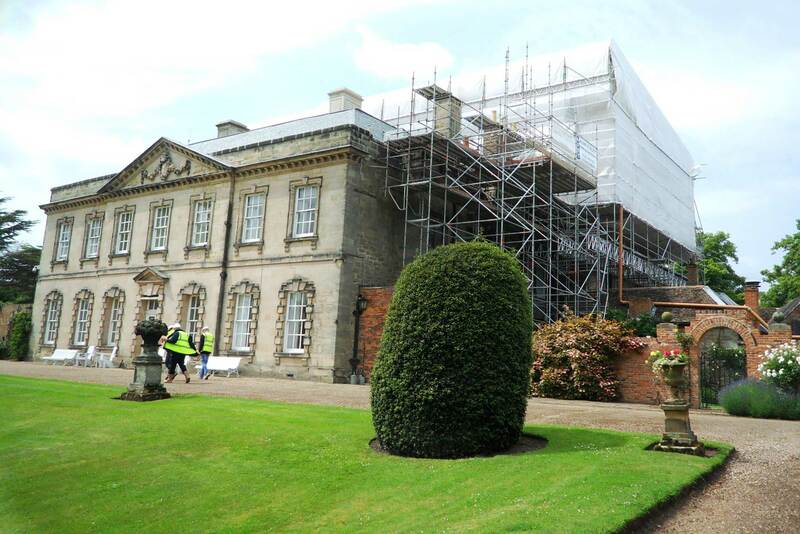 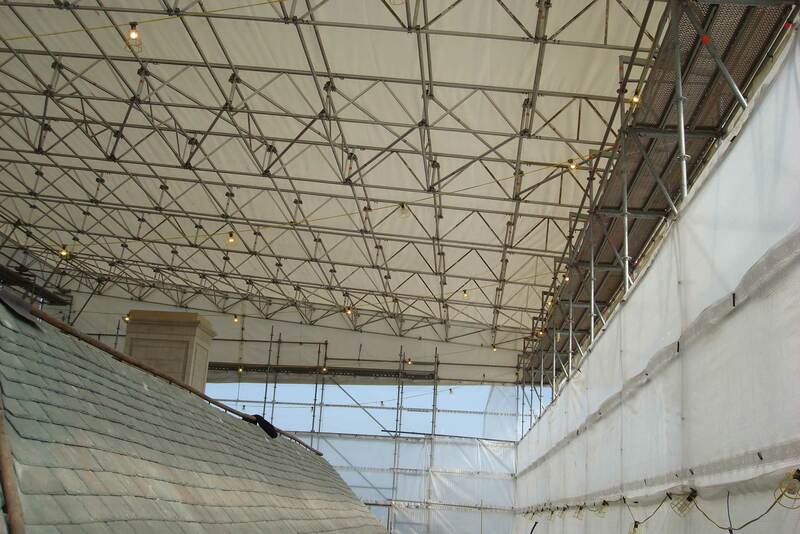 Clear access, excellent weather protection and high quality appearance are key scaffolding objectives met by Layher Allround® scaffolding and Keder roof systems during roofing refurbishment at Melbourne Hall in Derbyshire. 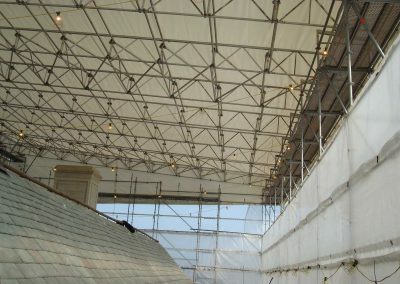 The scaffolding installation – which made good use of the Layher 750 mm beam, scaffold bridges and stairtowers – was completed by Allround Scaffolding Services (Midlands) Ltd. Contracts Manager, Joe Hassall, highlights the lightweight construction and uncomplicated, acceptable appearance as key factors. 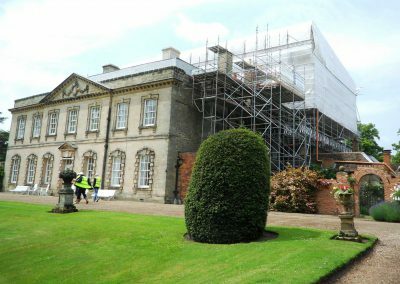 “Alan Staley and Allround Scaffolding Services have achieved quality results that fully reflect the Royal heritage and standing of Melbourne Hall,” adds Layher’s UK MD Sean Pike.